Drug manufacturer Bayer’s patent on Levitra expired 31 October 2018, following in the footsteps of Pfizer’s Viagra and Lilly’s Cialis, whose patents expired in 2013 and 2017 respectively. What does this mean for patients? Well, the first one is cheaper prices of course! 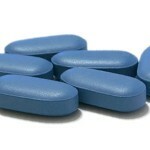 When Pfizer’s patent expired 5 years ago, other well respected drug companies such as TEVA and Actavis could then manufacture Generic Sildenafil, an Erectile Dysfunction treatment that contains sildenafil, the very same active ingredient in the more expensive Viagra, and should work in the same way, but for a fraction of the cost! 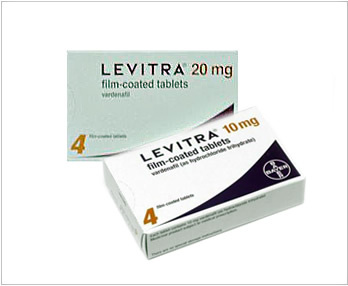 The active ingredient in Levitra is known as ‘Vardenafil’, therefore you may see cheaper generic versions called ‘Generic Vardenafil’ or ‘Generic Levitra’, these are the same thing; Generic, cheaper alternatives to the branded Levitra, theoretically working in the exact same way in helping men achieve stronger, firmer erections. 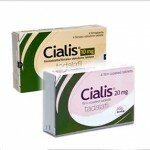 Like Viagra and Cialis, Levitra is a phosphodiesterase-5 (PDE-5) inhibitor and first entered the UK market in 2003, 5 years after Viagra and at pretty much the same time as Eli Lilly released what is now referred to as ‘the weekender’ – Cialis. Whilst Viagra is generally effective for up to around 4 hours, Levitra can remain in the system for up to 5 hours, leading to increased spontaneity with your partner. The main difference of Levitra/Vardenafil when compared against Viagra is that Levitra/Vardenafil tends to be less affected by the consumption of food or alcohol, so can be taken with meals – a major plus for those men that like to wine and dine their partners often! Firstly, rest assure that Generic medicines are not poorly made ineffective substitutes for their more expensive and branded elder brothers. By law (EU regulations), they must comprise of the very same active ingredient and have the same effect as their branded equivalent. One thing we get asked often at Medical Specialists® is why the generic medicines sometimes look different than the brand. 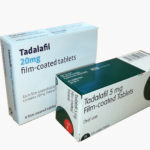 Although the colour and shape of the tablets may differ, together with the packing (due to different manufacturers producing their own version of the generic), the actual drug (the important bit!) must be medically identical to its branded counterpart. Some patients refuse to want to try generic medicines, especially if they are used to a particular brand, packaging, etc., and this is completely fine of course as everybody is different. When will Generic Levitra/Vardenafil be available? Keep checking the Medical Specialists® website for news and updates about Generic Levitra/Vardenafil as we will be looking to offer the generic version of Levitra very soon! In the meantime of course, we still have a wide variety of different Erectile Dysfunction treatments available to suit different patient’s needs. This entry was posted in Cialis, Levitra, Men's Health, Viagra and tagged Generic Levitra, Generic Vardenafil. Bookmark the permalink.